Radiation therapy is associated with the subsequent development of cerebral aneurysms; however, stereotactic radiosurgery (SRS)-associated aneurysm cases have not been well documented, with only 18 cases reported to date. We present a case of intracranial aneurysms with the rupture occurring 20 years after SRS for a growth hormone-producing pituitary adenoma. This is the first report of aneurysms diagnosed following transsphenoidal surgery and SRS for pituitary adenoma. We believe that the aneurysm reported here is a consequence of the SRS treatment, and thus this may be a very rare long-term complication following radiation treatments. The online version of this article ( https://doi.org/10.1007/s00701-019-03840-5) contains supplementary material, which is available to authorized users. The patient has consented to the submission of this case report to the journal. It is important to recognise any possible late complications of any medical intervention, radiosurgery included. However, I am far from convinced that a causative connection exists between the treatment and the ruptured aneurysm, and this presentation does not alter this view. Without an angiography done at the time of radiosurgery, one could not be certain about the presence or absence of the vascular anomaly back then. Furthermore, the tumour itself may be a sufficient explanation for the development of an aneurysm even if it was not present at the time of treatment. The coexistence of pituitary tumours and aneurysms is well recognised. The two references from the late 1970s show angiography was still a common procedure. 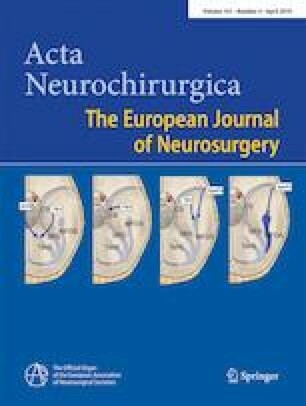 It was recognised that aneurysm formation was more common in the presence of a pituitary tumour than without or in the presence of another type of intracranial tumour. Various local causes were postulated. In the authors’ case, even the pre-radiosurgery transsphenoidal surgery cannot be entirely ruled out as contributory. I realise that the treatment may well have affected the vessel; the effect cannot be entirely ruled out. I feel that it would be inappropriate to recommend late imaging for all patients in this category purely on the basis of this case report. 1. Jakubowski J, Kendall B. (1978) Coincidental aneurysms with tumours of pituitary origin. J Neurol Neurosurg Psychiatry. 1978 41(11):972-9. 2. Wakai S, Fukushima T, Furihata T, Sano K. (1979) Association of cerebral aneurysm with pituitary adenoma. Surg Neurol.12(6):503-7.